Welcome to Day #7 of Chocolate, Enchanted Islands and Pirates Theme Week. 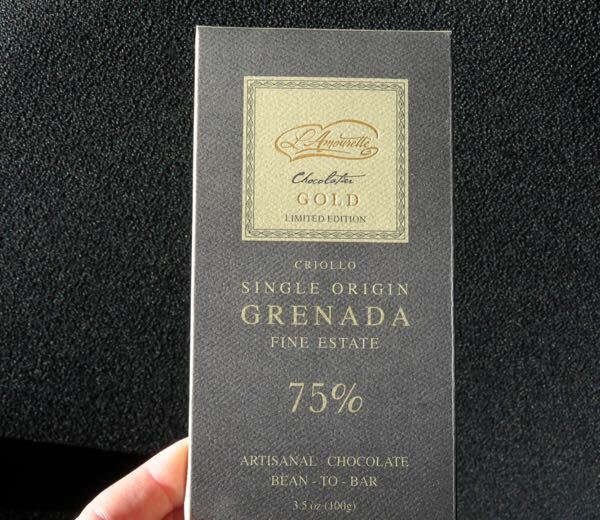 Today's Gold Limited Edition Criollo Single Origin Grenada Fine Estate 75% bar was made by Andre V and team at L'Amourette Chocolat LLC (San Francisco, CA). Criollo cacao beans handled properly offer wonderful delicate, complex flavor notes. 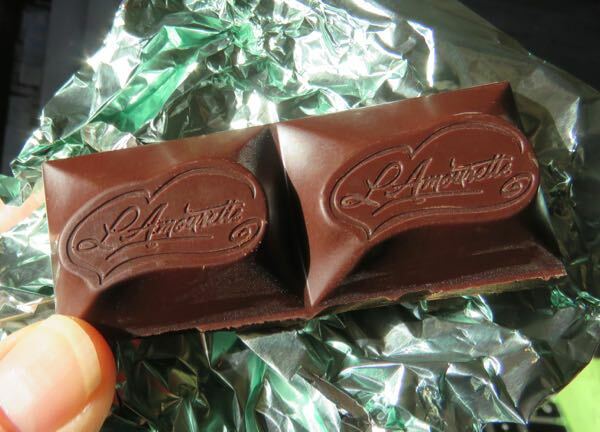 This 75% cacao Criollo bar had a lighter, more delicate fruit profile than most 75% chocolate bars. Think peach vs. dark berry fruit notes, with a touch of sweet, creamy coffee au lait. 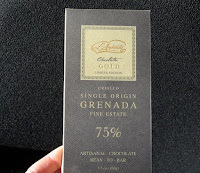 Today's single origin bar contained just two ingredients: Criollo Grenada cocoa beans and organic sugar. And this chocolate was soy free, gluten free and vegan. Grenada is a small island nation in the Caribbean Sea, about 100 miles north of Venezuela. Centuries ago, this was part of "Pirates of the Caribbean" territory. Pirates often absconded with alcohol and food when raiding other ships.